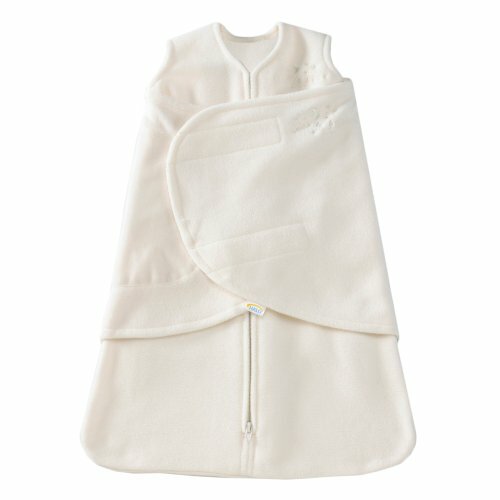 Wrap your baby safely and in the comfort of the HALO SleepSack Swaddle and SleepSack wearable blanket included in this ideal gift set. 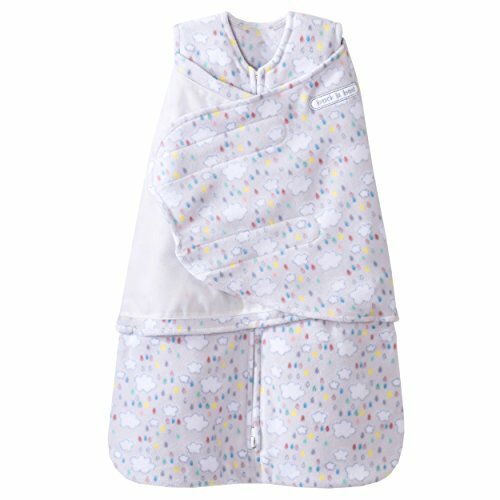 The Halo SleepSack Swaddle and SleepSack wearable blanket replace loose blankets in the crib that can cover your baby’s face and interfere with breathing. In addition to helping your baby sleep safer, it helps him sleep better too. The SleepSack Swaddle has an adjustable swaddle wrap to immobilizes your baby’s arms to prevent the moro or startle reflex. 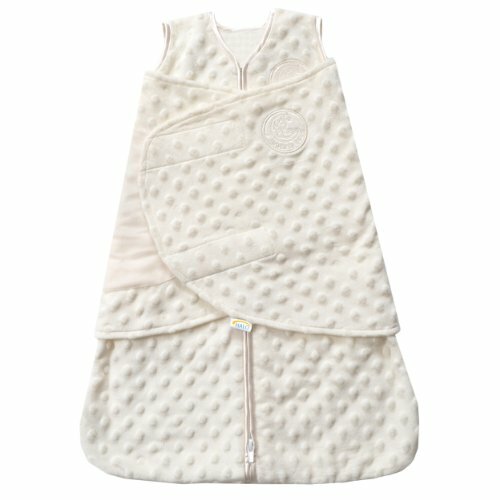 And, it’s the only 2-in-1 adjustable swaddle that allows for swaddling arms in or arms out for baby’s comfort and to ensure an easy and gentle transition to the SleepSack wearable blanket when it’s time to stop swaddling. 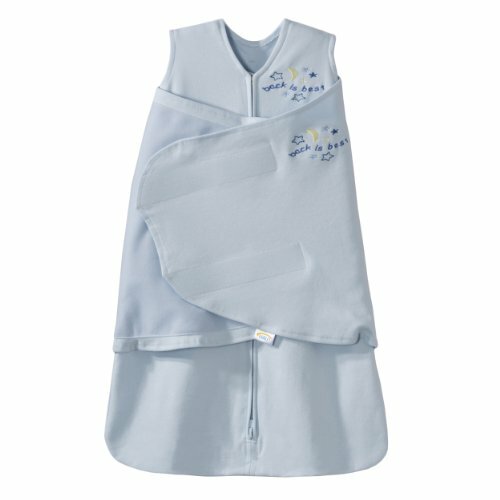 Used in hospitals nationwide, the Halo SleepSack Swaddle and SleepSack wearable blanket are the number 1 choice of hospitals, recommended by safety organizations and is recognized as Hip Healthy by the International Hip Dysplasia Institute. A portion of every purchase goes to First Candle/SIDS Alliance and The Canadian Foundation for the Study of Infant Deaths. Use over regular sleepwear to take the place of loose blankets. Discontinue swaddling when the baby shows signs of rolling over or breaking out of the swaddle wrap. 100% cotton interlock. 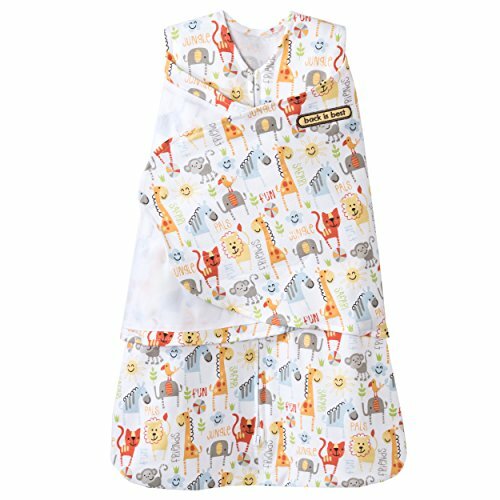 Includes SleepSack Swaddle in size newborn (fits 6-12 pounds) and a coordinating SleepSack wearable blanket in size small (fits 10-18 pounds).